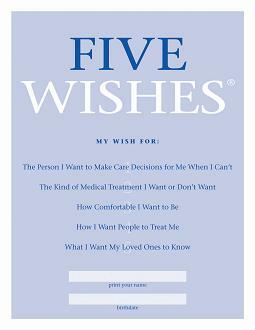 Another end of life resource is the Five Wishes booklet. It's available for a small cost at Aging with Dignity or call (888) 5-WISHES. 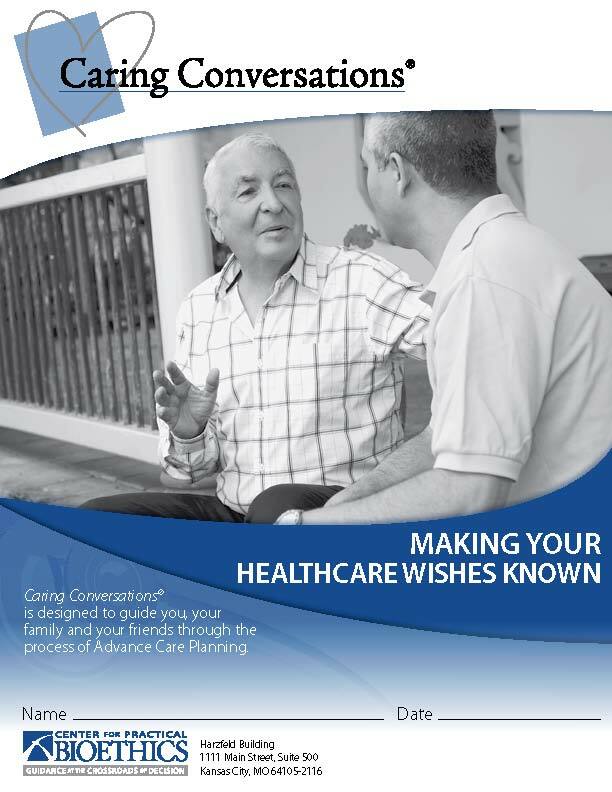 If you are caring for someone with a life-limiting condition, the American Health Lawyers Association offers a free guide that provides an overview of the key legal and practical issues that arise in the care of individuals who face a life-limiting condition. Go to www.healthlawyers.org and click on the "Public Interest" tab to download or read this guide. Addington Place of Shoal Creek offers a 6 week grief and support group from 6:30 to 8:30 pm. 9601 N Tullis Drive, KC MO 64157. RSVP to Jason Pike 816-407-9667. Liberty Silver Center offers a grief support group on the first and third Fridays of each month from 1:30-3:00 p.m. at the Liberty Community Center, 1600 S. Withers Rd. Call (816) 439-4396 for more information. 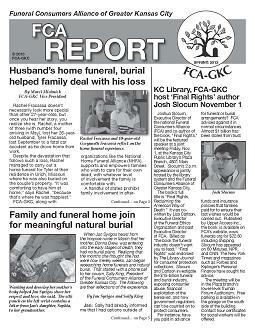 NorthCare Hospice offers Life after Loss Grief Support groups as part of their Bereavement services. Call them at (816) 691-5119 for current schedule. or contact Vicki Krehbiel: vkrehbiel@plattewoodschurch.org . Pleasant Valley Baptist Church support group: (816) 781-5959.